Celebrate Spring with our April Newsletter! As I write this, the forecast for today is sunny and 70 degrees. Tomorrow, it might snow! I know that April showers bring May flowers, but I'm not entirely sure what April snow in North Carolina brings! But regardless of the weird weather, I know that it's April, because our programming is certainly in full bloom here at HandsOn! At the end of March, we were excited to launch the newest version of HandsOn Connect , our volunteer matching online portal, in advance of our overall new site, which should launch in the next few weeks. When you log in to the new version of HOC for the first time, you will need to create a new password. The partner portal for nonprofits looks very different, but represents what we feel is a more intuitive layout. If you have any questions about navigating the new portal, I would encourage you to check out partners.handsonconnect.org for more step-by-step instructions. We're also happy to arrange one-on-one or small group training for your staff by request, and will most likely schedule a larger group training in late May once all parts of the new website is live. Lastly, don't forget to register for our Governor's Volunteer Service Award breakfast on April 25th! Our printed invitations were a bit delayed, but you should be getting them this week. Remember, if you want to make sure that you staff, your nominee, and their guests can all sit together, you will need to sponsor a table. (We can't guarantee individual seats will be able to be together.) We do expect to sell out, as we had more than 40 nominees again this year! We look forward to seeing you at Bridger Field House later this month! Looking forward to all the new spring growth! Thursday, April 13th, 8:30 AM to 12:30 PM, FREE! Our partnership with the United Way of Davidson County , United Way of Davie County , and Davie and Davidson Community College 's Small Business Center Network continues this month with our series of workshops geared towards local nonprofits for whom attendance at our Forsyth County workshops is a barrier. While registration is open to any in our network, preference is given to those organizations serving Davie and/or Davidson County. This workshop was originally scheduled for March, but was rescheduled due to snow. If you registered for the March class and want to attend the rescheduled class, you will need to register again. Please click on the link above to register for the new date. The nonprofit sector is increasingly under pressure to achieve and demonstrate meaningful results. This class will examine different evaluation approaches and provide you with concepts and resources for improving program measurement and sharing results to document impact, improve services, and support fundraising efforts. 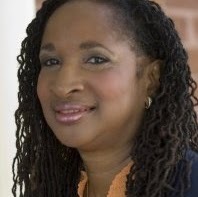 The class will be taught by Lori Fuller , D irector of Evaluation and Learning at the Kate B. Reynolds Charitable Trust . COST: $50 for Supporting Partners/ $60 for all others. Supporting Partners can register for the entire, 10 class series for just $450! (The cost is $550 for all others.) Payment plans are available. All classes include a networking lunch and extensive take-home materials. 2018 Governor's Volunteer Service Awards Breakfast! 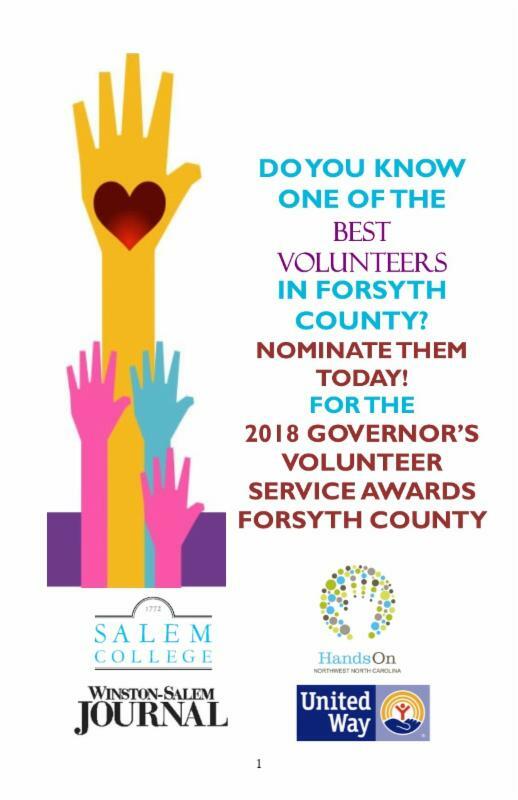 Join our partners, Salem College , the Winston-Salem Journal , and United Way of Forsyth County , as we celebrate the dozens and dozens of nominees and winners of the 2018 Forsyth County Governor's Volunteer Service Awards at a breakfast in their honor. The breakfast will feature the personal stories and thoughts of our local winners. This is our largest event of the year, and it attracts more than 225 community and business leaders as well as our nominees and their families. Attending the breakfast is the best way to start the day with a smile on your face, as you hear the inspiring stories of our winners and the selfless acts of service they perform on behalf of our community everyday! COST: FREE! for all nominees and winners! $30 for Supporting Partners/ $40 for all others. Tables are $250 . We are excited to welcome back Karl Yena to present another class in our popular HandsOn Boards series. Our Leadership Development class was specifically geared for board members who are in leadership positions or who are moving towards leadership roles on nonprofit boards as officers or committee chairs. Topics include a review of board officer roles and responsibilities, committee chair accountabilities, attributes of effective board and committee leaders, board policies, executive committee structure and responsibilities, key benchmarks for effective boards, a self-assessment leadership instrument, planning processes and tools, leading and conducting effective meetings, group communications, appraising board and committee effectiveness, and other topics of interest as identified by workshop participants. Karl is an award-winning community volunteer leader and a former HandsOn NWNC board member who has worked with hundreds of local, regional, and national nonprofits in his "second act" after retiring from RJR Nabisco, Inc. as Director of Worldwide Organization Development & Training. Space is limited, and this class will sell out! The cost includes extensive take home materials and a light lunch. Multiple board members from the same organization are encouraged to attend. Working With Leaders in Grassroots Communities-NEW DATE! As the sector becomes more and more focused on collective impact and place-based initiatives, as well as on asset-based community development in general, cross-cultural and community--building competencies will be crucial to all nonprofits in the future. This class will be taught by Paula McCoy , the Executive Director of Neighbors for Better Neighborhoods (NBN), a neighborhood support organization whose mission is to connect people, strengthen voices, and leverage resources within community to create safe, just and self-determined neighborhoods. Through an asset-based community development model, NBN seeks sustainable solutions for neighborhood revitalization. Interested in sharing fundraising ideas, tips, trends and best practices? Then join our Peer Philanthropy Network! This informal group is comprised of anyone involved with fundraising and development. The group meets 3 times a year to share practical information and is a great opportunity to meet other nonprofit staff involved in similar work while exploring concerns and discussing effective solutions. The group is FREE and you can attend as many meetings as you want. 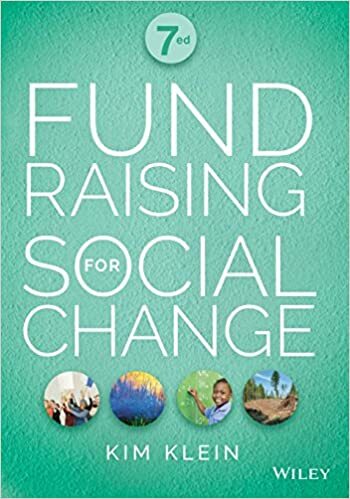 This month's meeting will feature a discussion of Kim Klein's book, Fundraising For Social Change . We'll be talking through the ideas Kim presents in chapters 7 & 8 of the book. If you don't have a copy of the book, an outline will be provided for discussion at the meeting, and HandsOn NWNC has several copies for sale for $45. Meetings are from 8-9 am, but you can arrive at 7:45 am to allow time for networking. Coffee will be provided. Cost: FREE! Please register below for planning purposes. Are you a finance officer for a nonprofit--usually the only one? Want to get a chance to step away from your desk and network with your peers? Then join us for this informal gathering to share ideas, tips, and best practices related to your work while meeting other nonprofit staff involved in finance. The group meets 3 times a year, is FREE, and you can attend as many meetings as you want. Topics for each meeting are chosen by the members in advance, and discussions are peer-facilitated. Nonprofits play an active role in shaping public policy. This class examines successful advocacy strategies used by nonprofits to advance their organization’s mission for the public good while considering related legal, ethical and tax issues, and measuring the success of your advocacy. Course includes coaching on how to tell your story to a variety of stakeholders in a way that conveys the importance and value of your mission. The class is taught by Barbara Lentz , Associate Professor of Legal Writing with Wake Forest University. 2018-2019 Women's Emerging Leaders Program! Attention all mid-level female non-profit staff, and new female Executive Directors of small and emerging nonprofits! If you are looking for leadership development, a better understanding of nonprofit operations, and the opportunity to meet other women like yourself, then come to our information session to learn more about our transformational Women's Emerging Leaders Program. This 10 month program is designed just for you and provides the skills to help women move into prominent leadership positions within the nonprofit sector. We'll discuss the program and what to expect, as well as review the application and answer any questions. The program is open to mid-level female staff of any size organization, as well as Executive Directors who have served for less than two years for small or emerging nonprofits, serving people in Forsyth, Davidson, Davie, Stokes, Surry and Yadkin Counties. Cost: FREE! Bring your own lunch and we'll provide drinks and dessert. Please register below for planning purposes. A Venture Cafe panel discussion , Thurs, April 12th, 6 pm - 7pm, Venture Cafe at Bailey Power Plant, FREE ! The number one recommendation of Mayor Joines' 2017 Poverty Thought Force was "coordination and visibility:" enhancing residents' awareness of existing programs/policies and better coordination among them. In an effort to contribute to both of those key outcomes, we've partnered with Love Out Love , a HandsOn Supporting Partner , to host a monthly session on social good happening across the greater Forsyth County region. In this month's sessions, y ou’ll hear from leaders doing great work through their collective impact groups and learn more about innovative efforts that are bringing non-profit, for-profit, faith-based and community organizations together toward common goals and outcomes in collective impact groups. More details are online ; no registration needed, just come! Don't Miss the Early-Bird Deadline for BCBS of NC Foundation's Leadership Academy! The Blue Cross and Blue Shield of North Carolina Foundation (a HandsOn Funding Partner,) is currently recruiting for its 2018 Nonprofit Leadership Academy. An organizational-altering experience, the Academy is an intensive learning lab designed to help nonprofits develop the leadership, culture, and strategy needed to adapt and thrive in today's evolving world. More details are available on their website . If you have any questions, please contact Valerie Stewart, Director of Organizational Capacity. Early bird applications are due by 5:00 p.m. on April 11th! for Volunteer Engagement, A Verified Volunteers webinar, Thursday, April 12th, 2 pm, FREE! While many accept and support the need for volunteers to help deliver programs, not all leaders, funders, and partners recognize the benefits of truly embracing volunteer engagement as a strategy throughout the entire organization. Through this webinar, you will be introduced to research and tools to help make that case for strategic engagement. If you can’t attend live, register anyway and they'll send you the recording. HandsOn NWNC Network Members Get Additional Discount to the Service Unites Conference! Service Unites , powered by Points of Light , is the world’s largest service-relating convening, bringing together more than 2,000 nonprofit, government, business and civic leaders to gain and share the knowledge, resources and connections needed to galvanize the power of people to create change globally. Taking place June 18-20 in Atlanta , this year’s event features inspiring leaders, activists and entertainers who are at the forefront of social change; and 12 diverse learning paths with more than 100 workshops that dive deep into key issues facing the volunteer sector as we seek to grow and innovate in this rapidly changing world. Amy is such a fan of this conference, Points of Light recently published her blog post about the top five reasons you should attend! This year, don't miss this exciting opportunity to join Kathy--and thousands of other leaders and changemakers from across the globe--to collaborate and ensure the volunteer sector continues to grow and innovate in this rapidly changing world. NEW THIS YEAR! Members of the HandsOn NWNC Network (this is *all* of you!) will receive an additional $25 discount ON TOP OF $150 discounted early-bird pricing! Register using this link to use the special code. Please let us know if you have any questions about conference, and we hope to see you there! Deadline for early bird pricing is April 13th! A NC Center for Nonprofits webinar, April 18th, 10:30 a.m. - 11:30 a.m., FREE! Is a nonprofit organization's culture determined by design or default? Join lifelong entrepreneur Jay Wilkinson to discover how Firespring, a company he founded, relies on its vibrant culture to attract and keep great talent. Jay will share his personal experience building a great organizational culture and will teach you: 3 steps to creating a healthy nonprofit culture; 5 revealing stats about employee engagement; nonprofit culture in action through 4 case studies; and how to self-assess your culture. Registration is online. Hendersonville, $25. You’ve thought about what social networks to use for your business or nonprofit, and you’re ready to take the next step. This class will take a closer look at the popular social media networks – Facebook, Twitter, LinkedIn, Pinterest, and Google+--demonstrate the benefits of using each, how other organizations are marketing with them, and some dos and don’ts of each channel. You’ll also get tips on how to tell if your social media activity is working. Join the Asset-Building Coalition for the 2nd Financial Education Symposium! Being held on April 24th and 25th at Allegacy Federal Credit Union in Winston-Salem, this FREE two day event is designed for professionals providing financial education & capabilities training, and is open to those working in financial institutions, K-12 educators, social services nonprofits, and relevant governmental and military agencies. Registration is online. Join Your Nonprofit Colleagues at The Winston-Salem Foundation's Annual Lunch on May 2nd! This year, the Foundation , a HandsOn Funding Partner , is excited to welcome keynote speaker Dr. Gregory Ellison II of Fearless Dialogues to help us "fear less" in hard, heartfelt conversations with others. Dr. Ellison will share strategies for engaging unlikely partners in collaboration to help us build social capital, an important tool for moving our community forward. The 2018 Winston-Salem Foundation Award and the 2018 ECHO Awards will also be presented at the luncheon, honoring remarkable individuals and groups that are making a difference in our community. Open seating is $20 per person . Register now! Attend the Nation's Only Nonprofit Communications Conference, Create Good! May 3-4, Durham, $90-$175. This national conference features two full days of engaging sessions, a creativity workshop, and an after-hours lip sync battle! Thursday's keynote features Michele Moore , chief communications officer for the ACLU, and Friday's keynote features artist, author, and innovation consultant Noah Scalin on the "Art of Innovation." Other speakers include communications leaders from the animal welfare, conservation, public health, healthcare, education, and human services sectors with tips and tricks on communications and marketing tactics from branding, communications planning, Facebook advertising, media relations, and SEO to podcasting, content creation, event promotion, and more. Learn more and register online . Day 1: Navigating the program; setting up your account; and entering your programs, annual budget, donors, and members. Day 2: Entering income, donations and grants, dues and tuition, and program service revenues; paying bills; allocating costs to programs/grants; and reporting for your board/auditor. Day 3: Tracking pledges, restricted grants, and fundraising events; printing donor thank you letters and year-end acknowledgments; recording in-kind contributions; and auto-allocating expenses to programs/grants. The cost is $100 per day, $199 for the series, or $499 for the VIP series (includes training, QuickBooks Made Easy the Essentials, QuickBooks Made Easy Beyond the Essentials, and 1 Year of Tech Support). Center Members receive $20 off with discount code NCNP20. Participants are eligible for up to 6 hours of CPE credit. Join Brittney at the NCAVA Conference, May 16-18th in Raleigh! The North Carolina Association of Volunteer Administration , the statewide professional development association for all who work with volunteers, will host its 2018 Annual Conference , Capitalize on Your Future/Strengthen Your Voice, at the DoubleTree Raleigh-Brownstone. The conference offers professional development opportunities and networking for volunteer administrators and coordinators from across the state. This conference is an *excellent* value, and HandsOn NWNC has usually sent a staff person each year. Learn more and register. 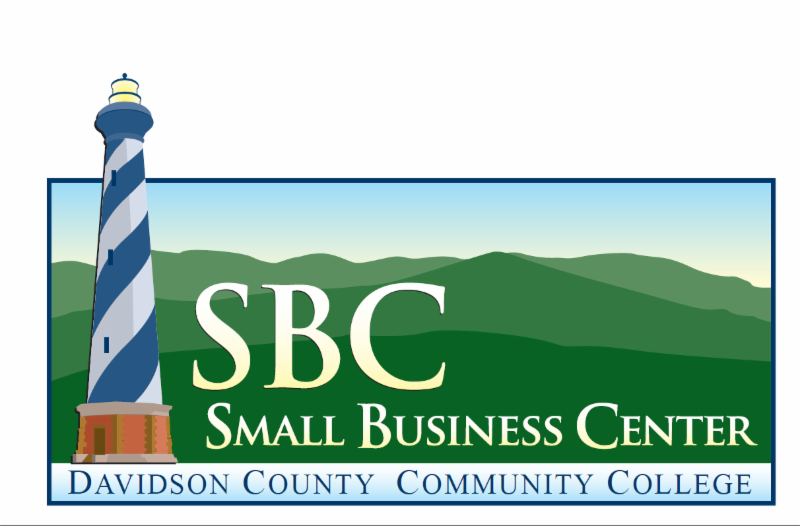 Not-for-Profit Accounting Conference, May 22nd, 8:00 a.m. - 5:00 p.m., Greensboro, $255-$305. Don't miss the only state-wide conference focused specifically on addressing the unique needs of the nonprofit sector. This conference will discuss current trends, changes, and tools nonprofit accounting professionals need to best serve their organizations. More details here. Save the Date for the NC Center for Nonprofits' Annual Conference! This year's conference, Power Play: Disruption for Good, will be held September 12-14th at the Sheraton Imperial Hotel and Convention Center, Research Triangle Park, and will feature the exciting keynote speaker, Vu Le, Founder and Blogger at NonprofitAF.com and Executive Director of Ranier Valley Corps. Registration will open later this spring. Rates are available now. Come Find Out More About Leadership Winston-Salem! Are you or someone you know an excellent candidate for Leadership Winston-Salem? LWS is holding Information Receptions as they begin to recruit for their 2019 Flagship Program. The program is an excellent way to learn more about our community, develop your personal leadership skills, and nurture your professional networks. (Both Amy and Kathy are alums.) The receptions are being held on April 19th and May 2nd from 5:30-6:30 p.m. at the LWS office, 624 West Sixth Street, Suite 110, Winston-Salem, NC 27101. The sessions will feature an overview of the program and testimonials from alumnae. Please let them know you're coming (or that you are planning to refer someone) by emailing Katherine Perry or call 336.723.1002 ext. 206. Hope to see you there! Please Post Your Summer Internship Opportunities On HandsOn Connect! We're starting to get calls from college and high school students looking for meaningful internship opportunities at local nonprofits. While most of you probably could use the assistance, we won't know where to send these eager folks unless you post them in HandsOn Connect. Don't have an account? It's pretty easy to set one up here (before you do, please make sure you don't already have one by checking this list !) Need help logging in or creating the opportunities? No worries, just let us know and we'll be happy to walk you through it. Nominate a Great Volunteer as a L'Oréal Woman of Worth! Help L'Oréal Paris and Points of Light recognize and celebrate Women of Worth who make a beautiful difference in their communities. Ten honorees each receive a $10,000 grant to support their most cherished cause. Nominations will be accepted through May 31st! ABC of NC Seeks New Comptroller! ABC of NC, a HandsOn Supporting Partner, is looking for a new person to fill this crucial role. The position directs the establishment and maintenance of accounting principles, practices, and procedures. Maintains all accounting records and is responsible for the development, analysis, and interpretation of accounting information. Responsible for all internal and external financial reporting. Responsible for the administrative, financial, and risk management operations of the company, including the development of financial and operational budgets and strategies, metrics tied to the strategies, and ongoing development and monitoring of control systems designed to preserve the organization’s assets. For more details, please review the full position description. Interested and qualified individuals can apply directly through their website. Habitat for Humanity Seeks ReStore Manager! Habitat for Humanity of Forsyth County , a HandsOn Supporting Partner , is looking for a new person to manage a team of staff and volunteers (approximately 14) to efficiently run and grow a Habitat ReStore Review the full position description for more details. The Piedmont Down Syndrome Support Network (PDSSN) Seeks New Executive Director! PDSSN , a HandsOn Supporting Partner , strives to ensure that individuals with Down Syndrome in the Piedmont area are valued, included, and given opportunities to pursue fulfilling lives. The full-time Executive Director will report to the Board of Directors and provide leadership in coordinating and expanding PDSSN’s programming and events as well as engage in fundraising through partnerships with community members and the writing of grants. For the full position description and to learn more about the application process, click here . Riverwood is Looking for a New Development Director! Riverwood Therapeutic Riding Center , a HandsOn Supporting Partner , is currently seeking a full-time Development Director. If you are interested in applying, please carefully review the job description and necessary qualifications here . Send your resume and cover letter to Executive Director, Laura Pallavicini by April 20th! The anticipated start date for this position in May 14, 2018. The search committee looks forward to reviewing your application! Winston-Salem Foundation Seeks New Program Officer! The Winston-Salem Foundation, a HandsOn Funding Partner, is currently seeking a program officer to join the Community Grants team. He/she will report to the director of grants and will work cooperatively on the Community Grants team, as well as with all other Foundation staff. The program officer will play an integral role in the implementation of the Foundation's new grantmaking strategy as well as assist with the Foundation’s capacity-building and capital campaign grants programs. For more details, please review the full position description. To apply, send a letter of interest and a resume to Leila Warren, but act fast: the deadline is April 13th! Center for Child and Family Policy Seeks Part-Time Data Tech Housed at Imprints Cares! The Center for Child and Family Policy (CCFP) works to contribute to solutions to important problems affecting children and families through an integrated system of scientific research, debate and dissemination, public service, and teaching. The Center emphasizes the bridge from basic research to policy and practice. This up to 20 hours/week position will work on the evaluation of the Imprints Cares, Book Babies program in Winston Salem, NC. The Book Babies program was developed by Book Harvest in Durham, North Carolina and provides Medicaid-eligible children and their families with age-appropriate books every four to six months from birth until the start of kindergarten. The goal of the program is to provide books and guidance for parents so they can help develop their children’s pre-literacy and school-readiness skills in order to promote success in kindergarten and beyond. The Center for Child and Family Policy is conducting a 5-year randomized controlled trial that will assign newborns into one of three groups to evaluate the effectiveness of Book Babies on early literacy outcomes and school readiness. You can view the full position description here. Please contact Sonya Ulrich or Alexa Skandar to apply or get more information. Sawtooth Seeks Seasonal Summer Camp Instructors! Sawtooth School for Visual Art , a HandsOn Supporting Partner , is seeking teachers and assistant teachers for Camp Sawtooth , a specialized art camp for pre-K through 5th grade students. Students in Camp Sawtooth create quality art from a variety of mediums inspired by a weekly theme. Teachers are responsible for developing and implementing curriculum, inspiring creativity, and managing classroom behavior and safety. Assistants are responsible for implementing curriculum along with the teacher, managing classroom behavior and safety, leading snack and lunch times, and maintaining studio organization. You can view the full position description online. To apply, email cover letter and resume to Lauren Duncan , Director of Youth Programs. Positions open until filled. Piedmont Land Conservancy Seeks Capital Campaign Coordinator! The Capital Campaign Coordinator is the primary staff person charged with supporting PLC’s Board, staff and volunteers in an upcoming multi-million dollar capital campaign to help conserve one of the Piedmont’s most unique properties. This is a temporary, full-time position that reports to the Executive Director. The position is anticipated to last 18-24 months. Review the full position description for more details. For more information about applying, please visit their website . Applications are due Friday, April 27th at 11:59 p.m , and must be submitted through the link provided. Aetna Foundation to Support Healthy Communities! The Aetna Foundation is dedicated to promoting wellness, health, and access to high-quality healthcare for everyone. The Foundation's Cultivating Healthy Communities grant program is intended to help local communities become healthier places to live, with emphasis on projects that benefit underserved, low-income, and minority communities. Grants are provided to nonprofit organizations and government agencies committed to improving the health of their participants by focusing on activities that align with at least one of the following five domains: Healthy Behaviors, Community Safety, Built Environment, Social/Economic Factors, and Environmental Exposures. Applicants can request from $50,000 to $100,000 for projects lasting between 18 and 24 months. Organizations with annual operating budgets below $250,000 are not eligible to apply. The Stage 1 application deadline is April 18th; Stage 2 applications are due June 15th. Visit the Foundation’s website to download the request for proposals. Funds Available for Grassroots, Social Change Organizations! The Ben and Jerry's Foundation's Grassroots Organizing for Social Change Program offers general or project support to non-profit grassroots, constituent-led organizations across the country that are using direct action, grassroots community-organizing strategies to accomplish their goals. Proposals should align with the Foundation's broad interests in social justice, environmental justice, and sustainable food systems. They fund organizations with budgets of $500,000 or less. Grant awards are up to $20,000 for a one-year period. All application processes are online; the deadline for the pre-application for Cycle B is April 18th! EVEN MORE Funding Available for Grassroots Social Change Organizations! The Singing for Change Charitable Foundation, founded by Jimmy Buffet, is dedicated to supporting nonprofit organizations that inspire personal growth, community integration, and the enhanced awareness that collectively people can bring about positive social change. The Foundation provides grants to progressive, community-based nonprofit organizations nationwide that address the root causes of social problems. The Foundation primarily provides grants ranging from $1,000 to $10,000 for projects that serve children and families, youth empowerment, and disenfranchised groups, with a focus on projects designed to promote self-sufficiency. Priority is given to inclusive, grassroots organizations where Foundation support makes a significant difference. Visit the Foundation’s website to review the funding guidelines and to submit an online letter of interest. The deadline for letters of interest is May 1st! Looking for an easy way to celebrate National Volunteer Week , from April 15-21st? (Besides coming to our Governor's Volunteer Service Awards breakfast, that is!) You and your volunteers can participate in the #ivolunteer social media campaign by downloading a printable #ivolunteer signboard , filling in what inspires or motivates them to serve -- then taking a photo holding the sign to share on Instagram or Twitter using #ivolunteer and #NVW. You can also use the national branding materials when you are planning your own recognition events in conjunction with NVW. You can download the toolkit here. Enjoy! ﻿the Benefits in the Future! Over the past two years, many of you have taken advantage of the salary survey results that we make available to our network for review and check-out. In an effort to make sure that data remains timely (and useful), the Center is once again pleased to partner with Columbia Books to conduct a statewide compensation survey for North Carolina nonprofits. Results from the survey will offer a comprehensive view of salaries and benefits for more than 120 job positions by title, organization type, budget, and staff size. You'll be able to compare your organization's staff salary levels to those of similar organizations, and set fair and competitive compensation to boost hiring and retain exceptional employees. However, this can't happen without you!! Please take the survey: Choose "2018 Survey Participation FREE" in the right-hand box, click "Add to Cart" and checkout. After creating and registering your account, you'll receive your survey link. The survey closes June 1st!